Home / A8 / android / samsung / smartphone / Samsung Galaxy A8 and A8+ now available. Samsung Galaxy A8 and A8+ now available. 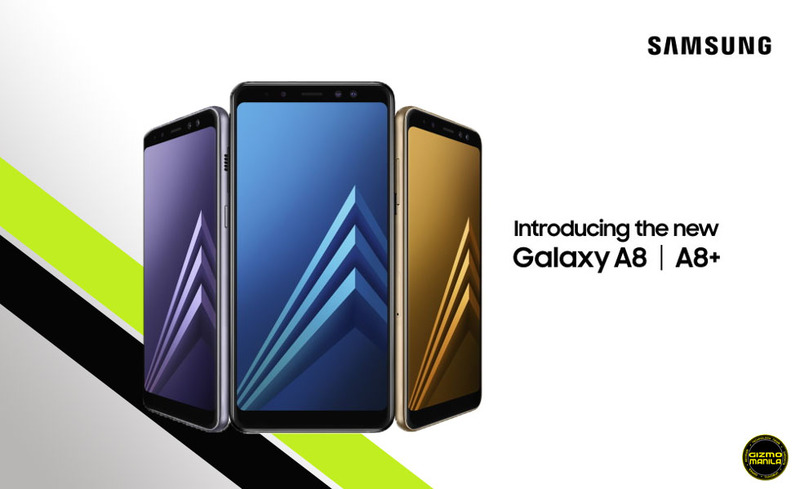 Samsung Philippines brings the latest addition to the Galaxy A series this 2018. the Galaxy A8 and A8+, which hit stores nationwide today. The A8 is equipped with a large infinity display with an immersive 18:5:9 display ratio for a high-quality and cinematic viewing experience. It also has an IP68 water and dust resistance feature for a photo-taking adventure like no other - be it in land, underwater, or in strong winds - as well as a Face Recognition feature and aBixby Interface that gives users an innovative smartphone experience that is personalized to suit their specific needs. Samsung also introduced the new Brand Ambassador non other than Yassi Pressman, the newest face of the A-Series also revealed her newest TVC for the product that proved anyone can really experience the best of everything with the Samsung Galaxy A8 and A8+. The Samsung Galaxy A8 and A8+ comes in black and gold and has a suggested retail price of PHP 26,990 and PHP 32,990, respectively. To know more about the new Samsung devices, visit the Samsung Galaxy Studio BGC, or go online and visit facebook.com/SamsungPH or samsung.com/ph.